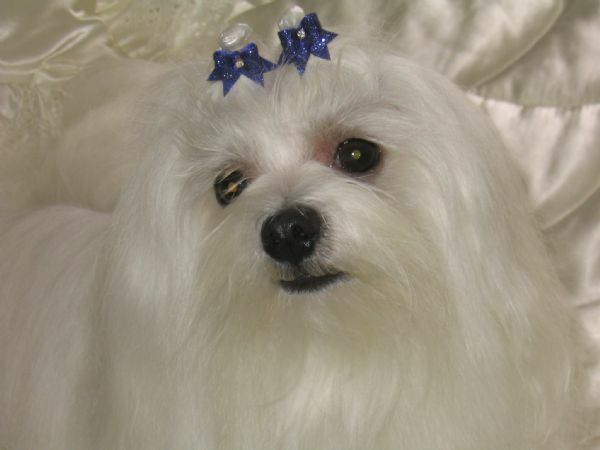 Beau has retired from the showring but is still looking good. 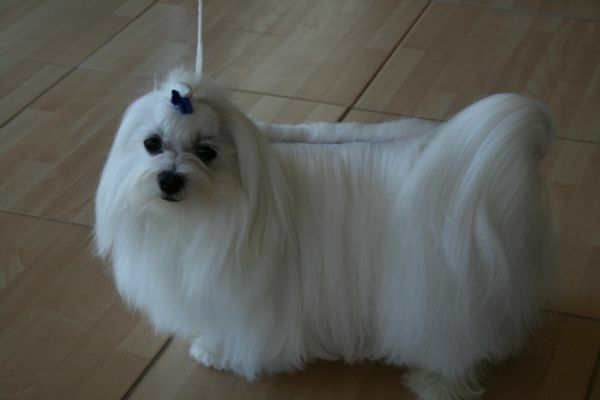 He had numerous Best of Breeds. 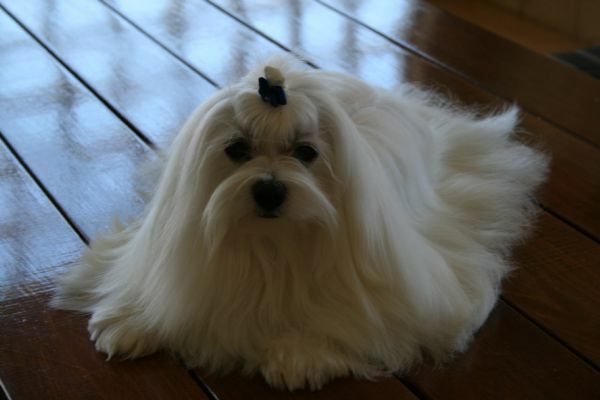 His father was Aust Ch Hazelwitch Sir Lawernce a beautiful Maltese used in advertising, to advertise the Maltese breed and the Maltese coat. 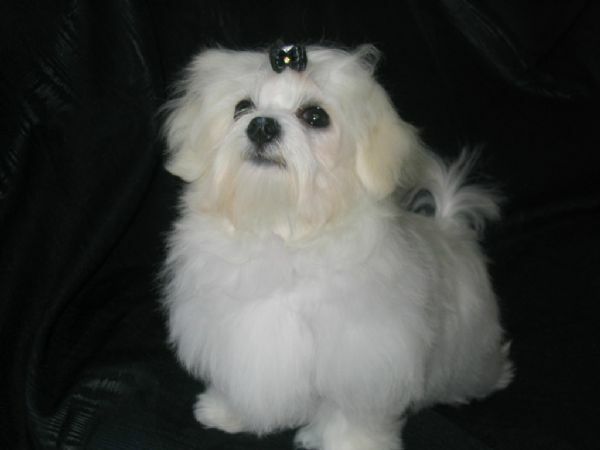 Beau's brother from an earlier litter was Aust Grand Ch Hazelwitch Master Kozzie. 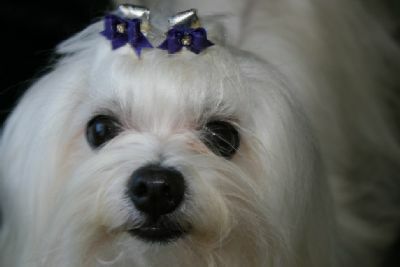 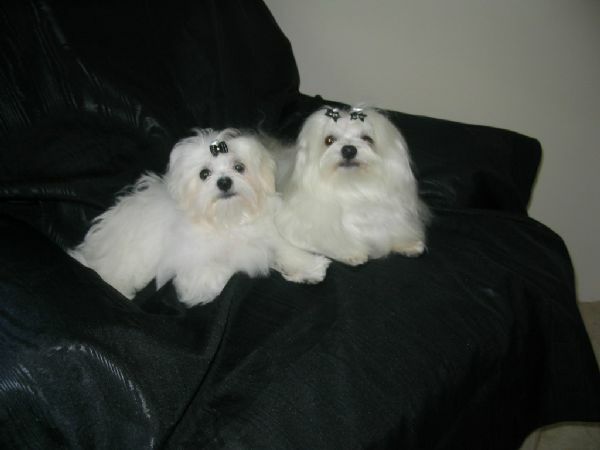 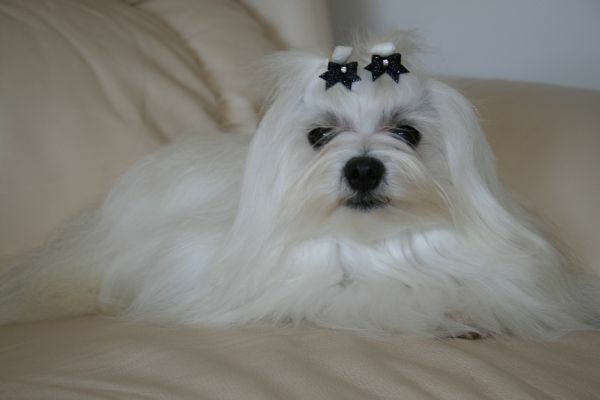 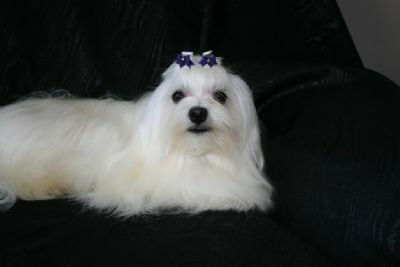 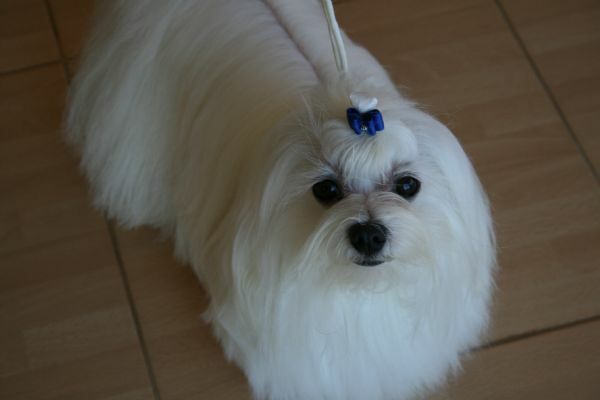 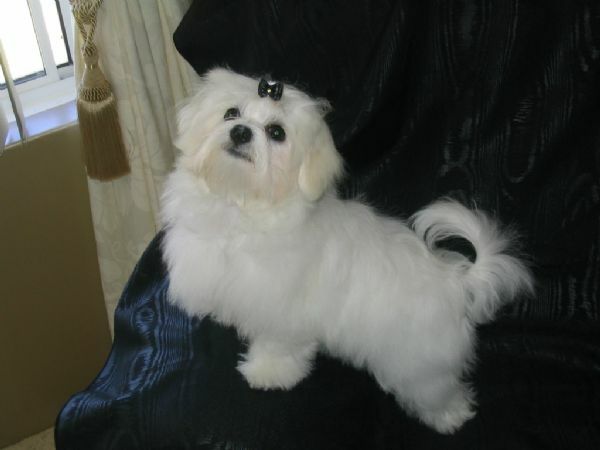 Beau has a beautiful placid nature and is a perfect example of a Maltese. 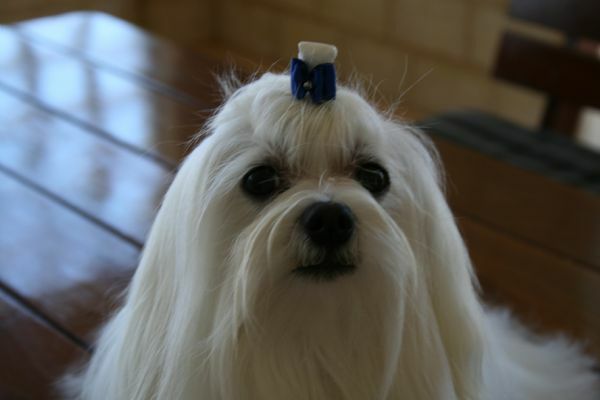 Beau - What's up there?